This web site contains a sample of the many manufacturers we carry as well as additional kits and parts. If you do not see what you want here, please call us to find out about our huge inventory and great prices! 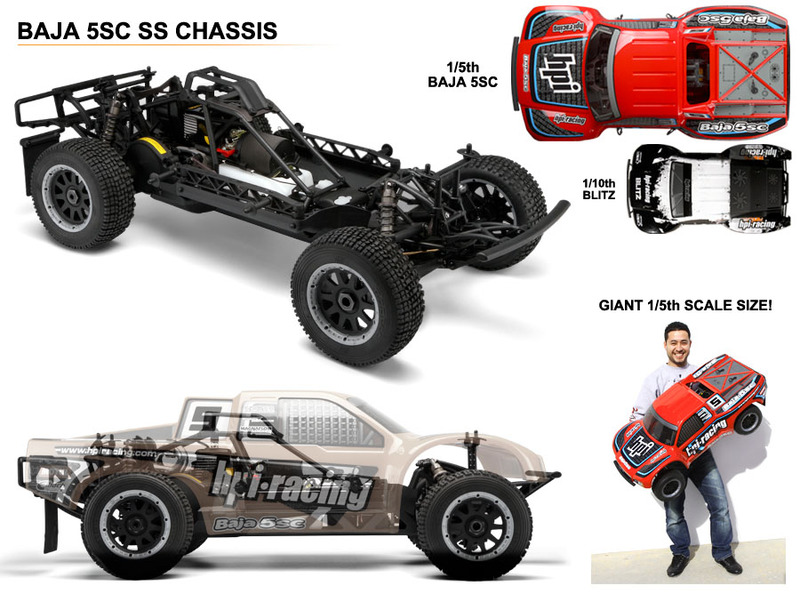 Some of the popular parts and hop ups for the large scale vehicles are listed in the manufacturer category. 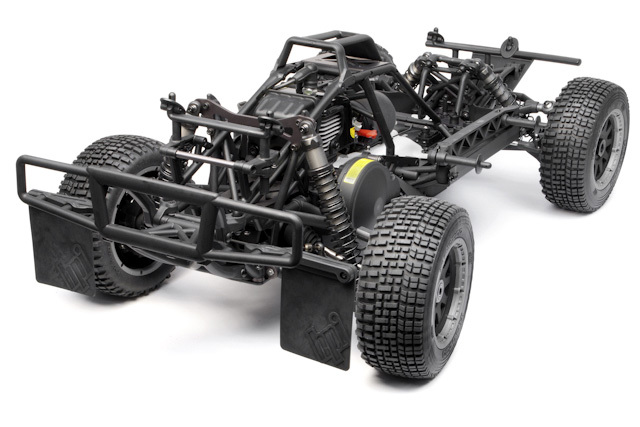 This is the 1/5 scale, gasoline powered, radio controlled, HPI Baja 5B SS Buggy - KIT. 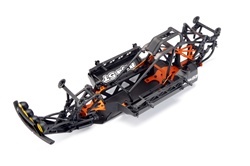 REQUIRES: Radio: 2-3 ch FM or 2.4GHz with standard size servo for throttle (do not use AM radio) Receiver Battery: 6V hump configuration, at least 3000mAh Battery Charger: Timed or peak for receiver pack Unleaded Gasoline: 87-93 octane, mix gasoline and two cycle oil at 25:1 ratio, Transmitter Batteries: AA, number depends on selected transmitter Paint: Spray or brush-on for polycarbonate bodies Building and track equipment. 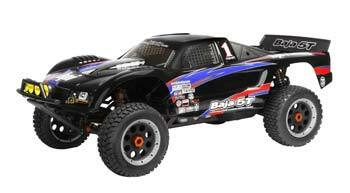 This is the 1/5 scale Gasoline Powered, 2.4GHz Radio Controlled Ready to Run Baja 5B Buggy with D-Box2 Stability Control System. The stock Baja 5B clutch starts to engage at 6000 RPM and is fully engaged at 7000 RPM, the High Response set engages at 8000 RPM and is fully engaged at 10,500 RPM, which launches the Baja 5B at higher RPM for more punch off the line. To achieve this goal we have specially designed lighter clutch shoes and a stronger clutch spring.